Raw honey straight from the hive. A sweet treat. As a sweetener, Raw Honey is definitely not the new kid on the block. In a world that features a new sweet product every few years, honey has stood the test of time as a perfect raw food. Raw honey has been valued as a sweetener for thousands of years. Cave paintings, dating back 8,000 years, were found in Spain depicting honey gathering. The ancient civilizations of Greece, Italy, and Egypt were involved in beekeeping for honey production. 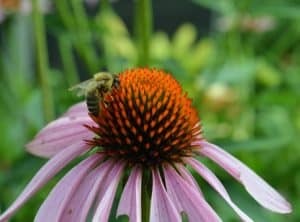 Early colonist brought honeybees with them to America. The honey and beeswax were used on the farm and in trade. 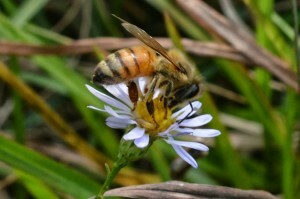 Honeybees also pollinated the new crops planted by colonists. What’s so special about honey? Well, bees make raw honey and that is cool! Honeybees are the only insects that produce a food for humans. 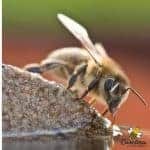 Honeybees collect nectar and transform it into honey. A single bee will only produce 1/12 of a teaspoon of honey in her lifetime. It takes a lot of bees to make a good crop of honey. This honey will be a food source for the bees during the winter months or times of drought. Honey is a blend of sugars, trace enzymes, minerals, vitamins and amino acids. It is unlike any other sweetener on the planet. Did you think that honey was just honey ? Oh no, there are many different kinds of raw honey available. Some of the honey varieties will be seasonal and not always in stock. Mono-floral honey is produced from the nectar of one type of plant. These include such favorites as Orange Blossom Honey, Clover Honey, Buckwheat Honey, Echinacea Honey and Sourwood Honey. The most popular variety of honey in the US is Wildflower Honey. Wildflower Honey is a poly-floral honey made from the nectars of many different blooming plants. The color and flavor of Wildflower Honey will vary from year to year. Changing weather conditions will affect the amount of nectar produced by individual blooms. This process, in turn, affects the honey produced. Light colored honey, such as orange blossom, tends to be milder in flavor. Darker colored honey has a more robust flavor but they also contain more vitamins and minerals. 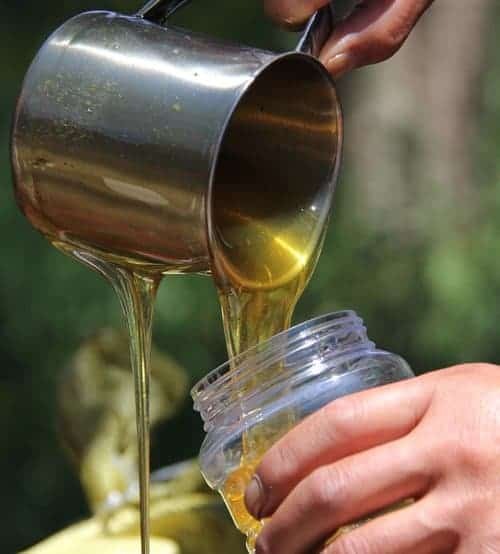 In upstate South Carolina, our local honey is usually darker but weather conditions result in light honey in some years. Yes, honey is sugar and you should use honey in moderation. Honey does have a place in the diet of most people. Some diabetics can consume small amounts of honey and others do not tolerate it well. Anyone with compromised health issues should consult a doctor before eating any raw product. Most health sources recommend that children should be over the age 1 before enjoying honey. If you are someone who does not enjoy the taste of honey, you may use it as a sweetener in coffee or tea. Honey is also a popular ingredient in baked goods because it add flavor and moisture. The main thing to remember is – not all honey is created equal. Most of the honey on American Supermarket shelves is bottled in a factory and ultra-processed. Even “Grade A” honey is likely highly processed and can lack many of the beneficial properties of raw honey. In an effort to create a beautiful, shelf stable product some of the good things are removed from the honey. (But it sure does look good on the shelf – doesn’t it). An ingredient label on honey should contain only 1 thing – Honey. It is also important to check the country of origin on the honey label. Some large honey suppliers have been found to purchase honey that is not pure and may contain unknown substances. Pure, raw, unfiltered honey is the kind of honey you should seek out. The best source for great honey is a small-scale beekeeper. (That’s me – shameless promotion I know !) If the honey is for sale online, check out the webpage of the producer. You can read the content on their website or blog and get a feel for their beekeeping philosophy. I respect beekeepers who care about the bees and manage hive responsibly. 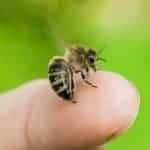 When you purchase from a beekeeper you are helping a small business farmer. Your support allows us to continue working with the bees. Most of the beekeepers in the United States are hobbyist and small beekeepers like myself. Thank you for caring about the bees. Raw Honey has been a sweetie for a long time. I love the article.. thanks alot for the valuable information you are providing us..
but i have a question please, do the raw honey crystallize? and if yes, do you sell it if it is not liquid or you heat out first? That you Lara. Yes raw honey is certainly prone to crystallization. Most consumers dont understand crystallized honey. If you have some that has crystallized, I would gently warm it back to liquid form. If you use a hot water bath and are careful to more overheat it, it should still be fine and good of natural goodness. I dont recommend the microwave for honey.